Not so long ago, I was driving with a friend from Berkeley to Marin County. I waited patiently to pay my toll; I’d let my FasTrak account expire, so I needed to pay cash, the old fashioned way. As I pulled up at the booth and handed over the money, the toll taker waved my cash away. You don’t need to pay, he said. Those people, in front of you, they paid for you. Surely there was some mistake, I remonstrated. I wasn’t driving in a caravan. There wasn’t anybody up ahead of me who might have paid for me. “Are you sure they paid for me?,” I wondered to myself as I sat there. The toll taker was impatient and urged me to drive on. My first thought was that someone I know must have passed me on the road and they were doing me a good turn, a nice way to say hello. I raced ahead, trying to figure out who it might have been. I peered carefully at each car, looking to see which of my friends or colleagues had kindly paid my toll for me. I started to feel a bit irritated. Why hadn’t they slowed down so I could figure out to whom I owed my thanks? Then I realized — my passenger was a woman. Surely someone was doing the automotive equivalent of buying her a drink. But that didn’t make any sense. She was in a car with me. And she wasn’t driving. And, anyway, people don’t buy strangers drinks without hoping at least for the chance of a smile and eye contact. I was so wrapped up in my musings that I missed our exit and ended up driving a good 10 miles before I realized we were lost. And that’s when it hit me: A stranger had paid my toll for me. I couldn’t wipe the grin off my face. Once the reality set in — that I’d been the target of a random act of kindness — I could not stop smiling. I felt so happy. So grateful. I felt blessed. I felt as if I were part of a community. A secret community of kind people. I’d been selected. I’d been inducted. Some weeks later, I was driving with my boys and we approached the toll plaza at the Bay Bridge. Cars changed lines repeatedly, cutting each other off, jockeying for position. I formed an intention: If that mini-van behind us — a man and woman up front, two kids in the back — stays put in my lane, I’ll pay their toll. I explained my plan to the kids. They were confused. Why would I do that? I explained what had happened to me. They were excited. That’s when I realized I’d made a mistake sharing my plan with the kids. I’d given myself an audience and that made my intentions somehow less pure. As if I were doing it so that I could feel good, or we could feel good, or, even worse, so that I’d look good in the eyes of my kids. What’s more, now the kids couldn’t stop looking back. After we went through — I paid the mini-van’s toll as well as my own — my kids kept looking to the car to see their reaction to what we’d done. So, now a toll was being exacted from the other vehicle after all. My kids and I were letting them know that we had done them a random act of kindness and we expected or hoped for or waited on their reaction. We took pleasure not in doing them a good turn but in, in effect, getting thanked for it. We intruded on their privacy. What was so cool about my own experience on the Richmond-San Rafael Bridge is that my gift had been free. And if I’d incurred a debt, it wasn’t to anyone. It was to everyone. There have been long-stretches of pay-it-forward — like one in August when someone started an 11-hour-long chain of buying a drink for the car behind them at a Florida Starbucks drive-thru. The first act of kindness was random, though the others were inspired by the first. I wonder how often random acts of kindness happen. 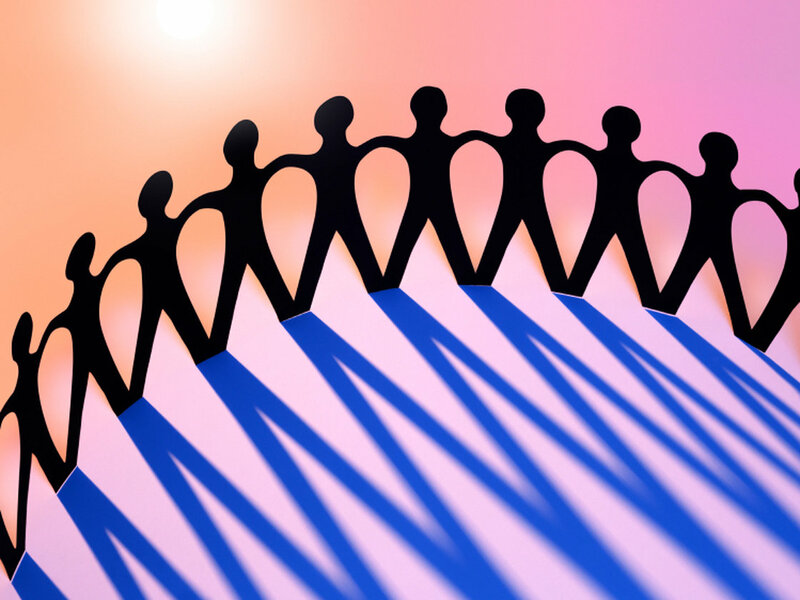 Have you ever been the “victim” of an anonymous act of generosity? Two years ago, Annie Bartosz, a Wisconsin sixth-grader, lost her twin brother Jack to cancer. Today Annie leads a campaign called “Gold In September,” which encourages people to wear gold to raise awareness and inspire action for childhood cancer initiatives. David Gruber and Green Bay Packers Quarterback, Aaron Rodgers have a campaign of their own. http://itsaaron.com not only creates awareness for people and organizations that are changing the world, it reminds us we can all make a difference. Check out this video where Aaron surprises Annie…and together they surprise an entire neighborhood. Even with Obamacare, there are still many women with no health insurance in Florida — women who will mostly likely skip a screening mammogram so they can spend the money on something frivolous. 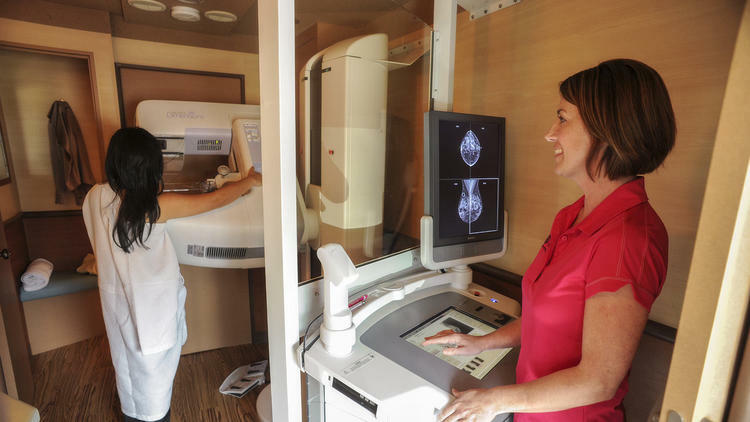 So through a partnership between the faith-based nonprofit Shepherd’s Hope and the for-profit Sand Lake Imaging, women who undergo a screening mammogram at either of Sand Lake’s two locations can — at no charge to them — donate the procedure to a woman in need. But to do that, they must switch to Sand Lake Imaging and be screened during the month of October. Then the second screening mammogram will go to an uninsured Shepherd’s Hope patient. Marni Stalhman, CEO & President of Shepherd’s Hope, said a similar campaign last year resulted in over 100 free mobile mammograms– a few of which detected cancer. To book an appointment, call (407) 363-2772 or visit ShepherdsHope.org or SandLakeImaging.com. Be sure to mention the “Get a Mammogram, Give a Mammogram” campaign. Since 1976, Lighthouse Central Florida has provided life-changing programs ranging from education, independent life skills, job training, and placement to more than 100,000 people with sight impairment and their families. Through early intervention programs and access to the latest in technology, Lighthouse Central Florida is able to show how the entire community benefits through the productive contributions of skilled Lighthouse Central Florida graduates. LCF is Central Florida’s only private, non-profit agency offering a comprehensive range of services to people living with sight impairment in the tri-country area. Over the past few months, we’ve had the pleasure of meeting a great number of people who’s lives have been changed thanks to the generous contributions of the many volunteers, staff, and donors – people who decided to Just DO Something…Anything! to make a difference. JDSA put together this video for LCF’s Emerging Vision Luncheon last week, where over $100,000 was raised! Pittstown, New Jersey (CNN) — When Chip Paillex started a garden with his 4-year-old daughter in 2002, he never imagined it would change the lives of thousands of people. That first year, they grew much more produce than their family could eat. Paillex did not want the excess going to waste, so he started giving it to friends and co-workers. Then he learned about others who needed it more. 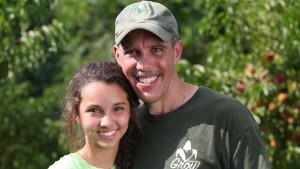 Through his nonprofit, Paillex (pictured with his daughter, Kyra) has provided fresh produce to about 140,000 people. Paillex and his daughter donated 120 pounds of produce that year. He knew the experience would provide some good lessons for her. But it opened his eyes, too. Since then, Paillex has been helping to provide fresh produce for more than just his local pantry. His nonprofit, America’s Grow-a-Row, now grows and harvests fruits and vegetables for people in need all over the state. Paillex started the organization from his small plot, with help from family and close friends. Every weekday for almost four years, he worked in the garden from 5 a.m. to 8 a.m. before heading off to his full-time job. Then he gardened again until nightfall. In 2007, he left his corporate job to dedicate himself full time to the nonprofit. It has grown to 49 acres of farmland and almost 4,000 volunteers. To help distribute the hundreds of thousands of pounds of produce it grows each year, the group partnered with the Community FoodBank of New Jersey. They also collect excess from other farms and supermarkets in the area. The produce is donated to food banks all over the state. When Paillex learned about food deserts — areas in the country that do not have access to healthy, affordable food — he and his group set up farm markets to provide free fresh produce to residents of these areas. From July to November, the group holds its free farm markets in five cities in New Jersey, including Camden and Newark. Residents also receive healthy recipes for preparing the produce. The group’s free farm markets have been a lifesaver for Imogene Thompson. Living on a fixed income, the 64-year-old had trouble getting the fresh food necessary for her health. Thompson now goes to the group’s farm markets in Jersey City, and things have turned around for her. For Paillex and his group, the work is about more than just feeding people. The goal also is to educate people of all ages about where their food comes from and why it is important. Paillex said recipients also return to volunteer with the group. “There’s a sense of community that comes out of this program,” he said. The group’s summer youth program introduces children from New Jersey’s inner city areas to farming and healthy eating. For many of these children, it is their first time on a farm. America’s Grow-A-Row has donated almost 3 million pounds of fresh produce, which has reached roughly 140,000 people. Paillex plans to expand the program to other states. Want to get involved? Check out the America’s Grow-a-Row website at www.americasgrowarow.org and see how to help.